When it comes to the products I choose to use on my face I admit I can be fussy, especially from past experiences where I've reacted badly to products that have left my (once severe) acne prone skin as dry as a piece of sandpaper-no exaggeration. 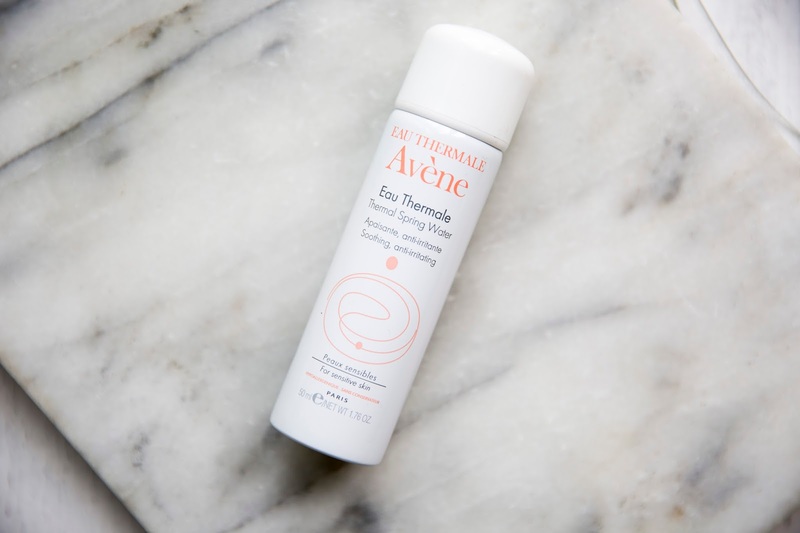 Despite this Avéne is quickly becoming my go-to brand for skincare as I am yet to react badly to one product from them. 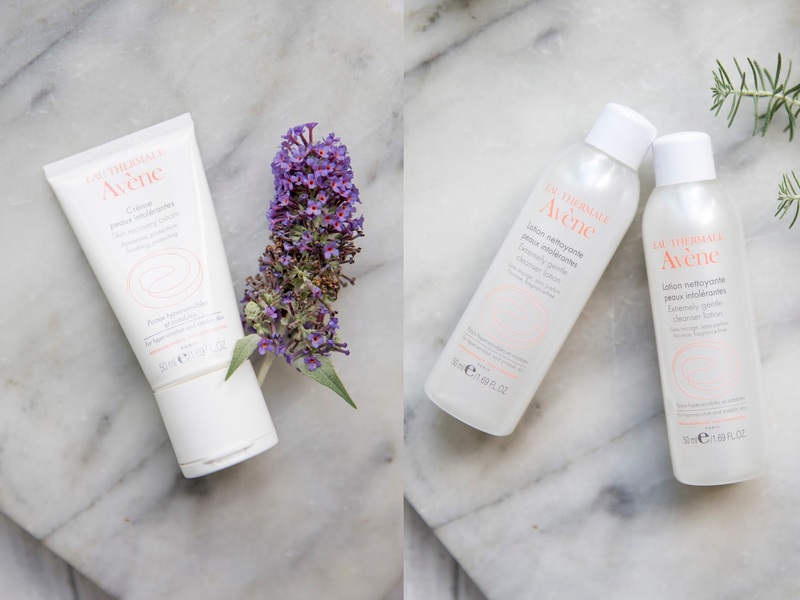 They have recently launched a nifty kit for Sensitive skin suffers that is perfect for summer breaks and festivals, due to its travel friendly size. The kit includes their "Extremely Gentle Cleanser Lotion" which is almost a gel like consistency and can be used with a simple cotton make-up pad. Their (iconic) Spring Water Spray which I have adored for ages and was a staple when I was out in Palm Springs a couple of weeks ago (40ºC+). And finally their "Skin Recovery Cream" that can be used daily to reduce inflammation. These products are all free from fragrance, alcohol, paragons and colouring agents that are known to irritate your skin. 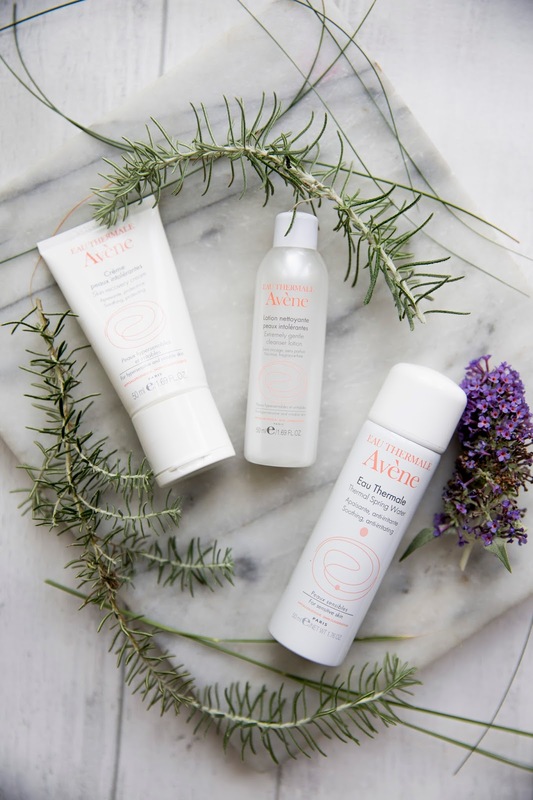 In fact I have been using these products religiously as I found they soothe and cool my skin instantly, I especially love the cleanser as it evens removes stubborn waterproof mascara.